032c Fashion Director Marc Goehring, G.O.O.D. 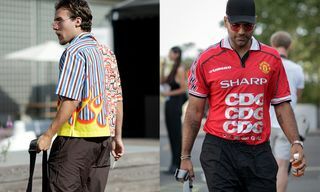 Music President Pusha T, and Jurassic Park’s very own Jeff Goldblum have all rocked Prada’s FW18 bowling shirt in recent weeks, officially making it one of the hottest pieces in fashion right now. 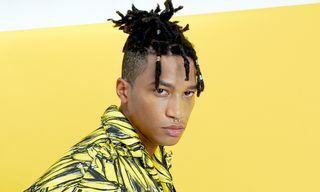 With the FW18 rollout well and truly underway for most brands, Prada has expertly seeded what looks to be one of its standout pieces for the season. 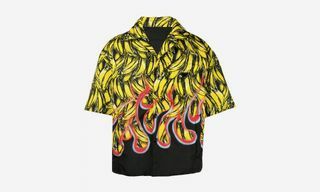 The bowling shirt itself is split down the middle, one side featuring a wavy geometric pattern, while the other features multi-colored stripes and flame graphics erupting from the base of the shirt – channelling its best Guy Fieri. 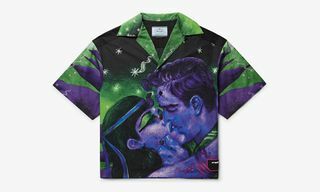 This isn’t the first time that Prada has hit a home run with one if its shirts, most recently dropping an “art print” bowling shirt that retailed for $980, making it a true statement piece – both visually and financially. 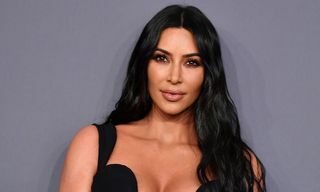 Each of the three aforementioned fashion insiders have put a unique spin to how they’ve worn the latest Prada shirt. Marc Goehring, below, wears his unbuttoned over a basic white tee and black knee-length sports shorts. He keeps it casual and lets the shirt speak for itself, making it the epicenter of his ’fit. 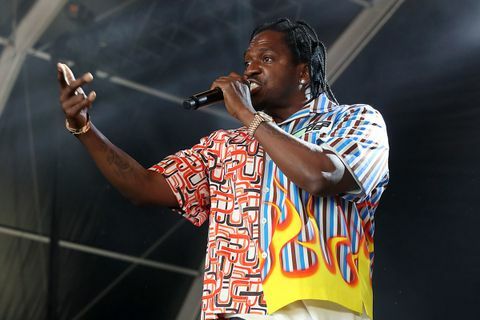 Pusha T on the other hand, styled his buttoned up shirt over a white undershirt and black Dries van Noten sweatpants while performing at Governors Ball on Randall’s Island in New York in early June. The DAYTONA rapper completed his look with a pair of Chanel sneakers. Finally, and most surprisingly of all, Jurassic Park’s Jeff Goldblum took a break from warning us all about dinosaurs to stunt on Jimmy Kimmel Live in Los Angeles. He wore the Prada shirt in a more formal-looking ’fit that included dress pants (presumably Prada) and black leather shoes (also Prada). What do you think of the Prada bowling shirt that seems to have taken fashion by storm? Let us know in the comments below. 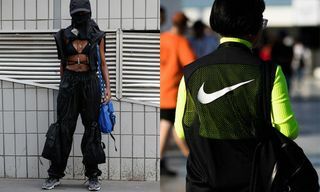 Next, read about how Prada defined athleisure before it was even a thing here.